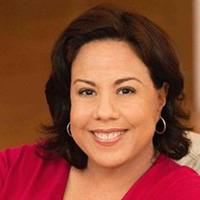 Maria Morales was named executive editor of PEOPLE en Español in April 2011. Prior to being named executive editor, Morales served as the magazine’s assistant managing editor and as an associate editor, and currently is charged with supervising the magazine’s writing team, identifying and developing exclusives as well as reporting and writing cover stories. She joined PEOPLE en Español in 1999 as a senior writer and has profiled celebrities ranging from Luis Miguel to Gloria Estefan to William Levy. Before joining PEOPLE en Español, Morales was a staff writer at The Miami Herald where she covered education and City of Miami politics. She was part of the team that won the 1999 Pulitzer Prize for investigative reporting for coverage of widespread voter fraud in the 1997 Miami mayoral election. Before that, she was a staff writer at El Nuevo Herald, the Spanish-language edition of The Miami Herald, where she covered everything from the aftermath of Hurricane Andrew to immigration, elections in Central America and the Contra rebels in the mountains of Nicaragua. During those years, Morales won The Goldsmith Prize, a National Headlines award and awards from the Society of Professional Journalists and the National Association of Hispanic Publications for her investigative reporting and other coverage.